Connecticut Chiropractic Council Annual Convention Extremity Adjusting Seminar June 28-29, 2014. The ICAK event, in Washington, DC at the Ritz Carlton, will focus on the Applied Kinesiology’s belief in the Triad of Health (Chemical, Mental, and Structural), which balance overall health and wellness. Kevin Wong, DC, will be highlighting the PCA Annual Convention in State College, Pennsylvania, with his talk entitled “Supporting Your Body from Toes to Nose” for 12 CEs. Foot Levelers will also attend the National University Homecoming events in Lombard, Illinois. The company has been a long-time supporter of National University and all chiropractic colleges throughout the United States, Canada, and abroad. 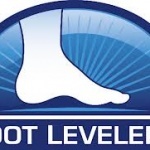 The following weekend, Foot Levelers will participate at the Connecticut Chiropractic Council Extremity Adjusting seminar, which will feature a lecture by Mitch Mally, DC, for 12 CE credits. 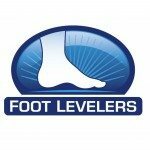 Foot Levelers will attend over 200 chiropractic events throughout the 2014 calendar year, ranging from national conventions to state association seminars, from public sporting events (Foot Levelers Blue Ridge Marathon) to college homecomings.